Picture from simon3 : Sallagh Braes from the South. Picture: Sallagh Braes from the South. 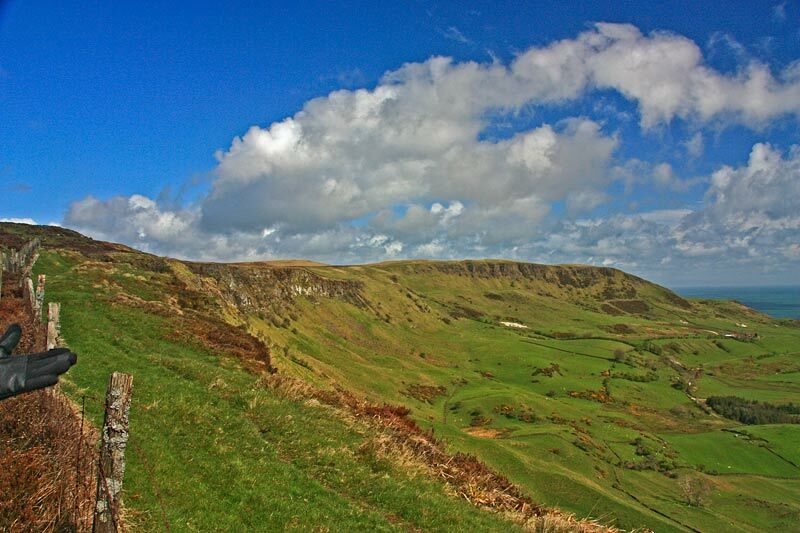 North of the summit and over a road is the 2km long arc of Sallagh Braes, a spectacular semicircle of a valley where the higher ground to the west (left) falls away towards the sea.